My new Nissan Murano stopped in traffic, stranding me while on a weekend trip out of town. 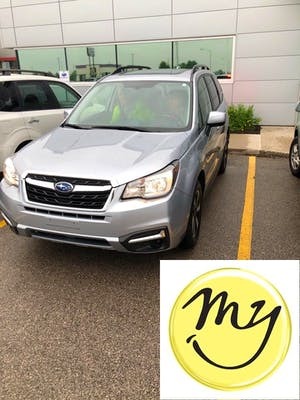 I was able to have my Murano towed to My Auto Import Center in Muskegon early Monday morning where Beth was able to have it repaired by mid afternoon. We stopped in the early evening got an oil change and they got us right in. Great friendly service and a nice comfortable waiting area! Jon Habetler made my Prius 3 purchase so easy. I was nervous and he made me feel at ease. There was no pushing me to purchase (I don't like pushy sales people). Now I have a new Prius to enjoy! Thank you Jon at My Auto Import. 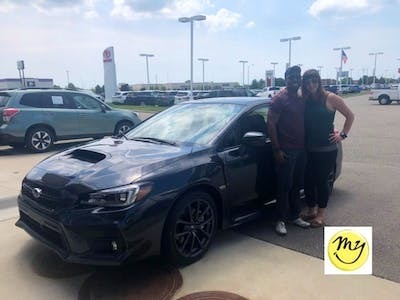 I had a wonderful experience with Sean/Salesman and Katie! Sean went over the car details and the loan process. I was on the other side of the state, but it was easy to go over the information by phone or text. I walked in on a Friday, and was out with my car in 45 min. Katie went over items, and the functions of the new car. I'll purchase another vehicle from My Auto Imports. I worked with Tim Winchel and he was amazing!!! I am new in this town and helped to get the exact car I was looking for (CHR). The deal I got for my CH-R was phenomenal. He didnt try to oversell any unuseful options!!! Actually the whole team were great! definitely recommended! Great service and very friendly staff. Competitive prices and a very pleasant waiting room including snacks! Yum! I had originally come in to look at colors and test drive a crossover. They did a great job with what I wanted to spend and I ended up with a beautiful green outback limited. Love Love my 4th subaru and 1st Outback. Incredibly friendly staff. Our experience was great. Bryce Austin was very patient and extremely helpful. Very clean establishment with lots of amenities. My wife and I were there for a few hours and Bryce provided snacks. My Auto made the car buying experience extremely pleasant. I was in the market for my daughter's first car, and My Auto had a nice selection of clean used cars. Jon made this purchase quick and easy. I couldn't be more happy with my purchase and Jake made the purchase as easy as possible. Jake was very patient and kept me updated throughout the entire process. I had to come back a second time and asked for free touch up paint to compensate for the extra trip. I am content with this. My Q5 was in need a an oil change, new wipers and a general check up.Made an appointment very easily and the service was performed on time and was cost effective. Also met with sales and ending up buying a vehicle. Working with Jon Habetler & Mike Kaffenberger was awesome. They are very nice, professional & knowledgeable. I love my new 4 Runner!! I recommend going in to see these guys if you are interested in a new vehicle. I was provided a loaner car, and the service which might have required an overnight stay was completed that afternoon! The service could not have been better! 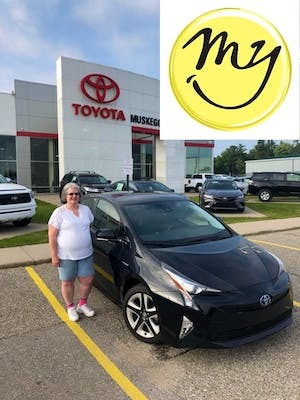 I moved from MO and needed a new service center for my 2016 Prius C. I was used to a very high level of service from my old location (Jay Wolfe West County) and I think i have found a great replacement here. My Auto provided prompt service and seemed very honest. Everyone at My Auto is so helpful and friendly that it makes every visit a joy. Mickala always greets me by name and remembers things about my family.